Conclusion | Steven J. Barela, LL.M., Ph.D.
At the initiation of this project a specific conclusion was not envisioned. The idea was to investigate the three proposed realms of legitimacy as they relate to drone killings across international borders, a design that does not necessarily point in the direction of policy solutions. 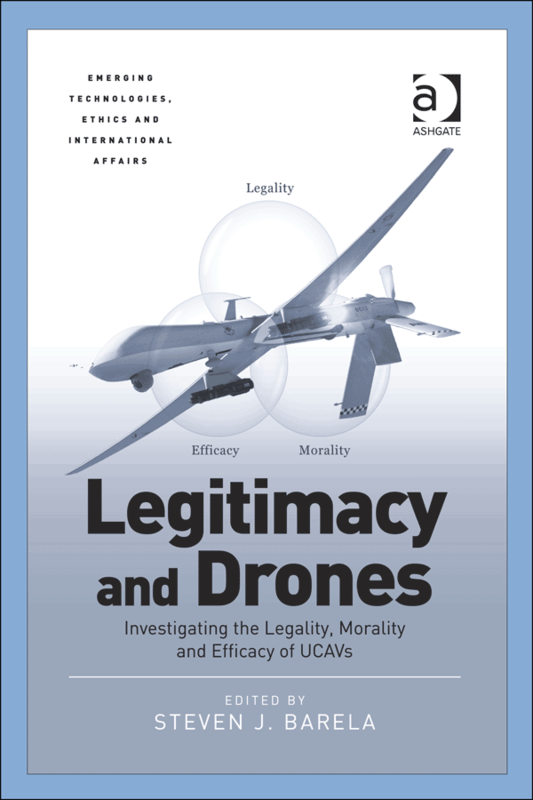 By peering through the lenses of legality, morality, and efficacy a series of worthwhile views into the legitimacy of drones could be offered to enhance the public understanding of an issue that is only growing in importance. This indebted editor believes that the contributing authors have done precisely this. Unexpectedly, this book project also advanced in a manner that has produced a keen policy proposal meant to integrate these three basic tenants of legitimacy. As has been seen, this starting point has simultaneously produced descriptive and normative contributions. That is, the authors have had to explore both what is and what ought to be, to be able to express a complete view on each of their research questions. The current applicable law, our moral understandings of lethal force and war, along with judgments of their effectiveness as a policy tool, cannot be currently presented as definitive since unmanned combat air vehicles have so drastically changed the practical and political calculations for exercising force across borders; both views are required. The current applicable law, our moral understandings of lethal force and war, along with judgments of their effectiveness as a policy tool, cannot be currently presented as definitive since unmanned combat air vehicles have so drastically changed the practical and political calculations for exercising force across borders. First, many contributions are descriptive in the sense that they aim at discerning what exactly the rules governing unmanned targeted killings are and what they say. On crucial points today—to name but a few, the legality of a state’s resort to force in response to multiple low-level attacks, its use of force following attacks attributable to non-state entities, and the extraterritorial effects of human rights treaties—there is no fixed or agreed upon jurisprudence (or even doctrine). For this reason, the authors are at times unable to provide the reader with a definitive answer as to the black letter of the law, preferring—wisely—to present the positions expressed in the debate by diverse participants (states, International Committee of the Red Cross, various bodies of the United Nations, etc.). Many chapters also contain normative passages in which the authors describe and defend the rules (or their interpretations) that, according to them, are more likely to lead to a use of drones that is legal, moral, or effective. Given the room for disagreement created by debates occurring on major aspects of the issue, this normative aspect of the book is not at all surprising. In fact, I would venture to say that the thoughtful and lucid views expressed by these learned scholars are extremely useful at this particular moment. As we are experiencing a time of great tension brought on by the emerging technology of unmanned combat aerial vehicles (UCAVs), and perhaps a resettling of the applicable norms, it is during such a time of adjustment that careful opinion and advocacy are necessary. Thus, this normative aspect of the invited work is most welcome. Additionally, in order to provide further context it is also useful to briefly elaborate on the distinction between offensive and defensive measures presented in the Introduction to this volume. If “offensive” measures are used to describe actions directly taken to prevent an individual or a group from committing future harm (mainly through killing, interrogation, and detention), “defensive” measures may be defined as including any state action designed to preserve or even advance the principles and values on which the state is founded. Therefore defending its legitimacy as well as its raison d’être, even (if not especially) when faced with a terrorist threat, represents a strategic imperative for the state, while offensive measures are simply possible tactics that should never trump strategy. Defending its legitimacy as well as its raison d’être, even (if not especially) when faced with a terrorist threat, represents a strategic imperative for the state, while offensive measures are simply possible tactics that should never trump strategy. This is not to say that a state’s response to terrorism can be either wholly offensive or wholly defensive. In fact, sound counterterrorist operations will be composed of both. However, the defensive aspect of a state response to terrorism is of particular relevance when determining the scope of the offensive measures. For the sake of legitimacy, these aggressive measures must be as narrow as possible and always remain openly justifiable politically, an objective that necessitates full respect for the applicable body of laws and norms. Considered as a whole, a robust offensive approach, with its very strong preventive content, is at odds with the traditional liberal vision. As this world view is built on the acceptance of a certain level of societal risk in order to limit the state’s capacity to intervene in the quotidian life of the citizenry, acting in advance of a violation requires supposition of future acts and engenders the government with the power to act (violently) on such speculation. In other words, the liberal state implicitly accepts that some persons will abuse the broad freedoms—its distinguishing feature—in order to protect against an overreaching by the government. Risk is no doubt distressing, but it is also an inherent part of our human condition. We should bear in mind that, historically, the occurrence of a terrorist act almost inevitably prompts governments to initiate forceful offensive measures—often radical and violent—aimed at preventing any recurrence. The objective of preventing new terrorist attacks comes partly from the government’s responsibility to guarantee its population’s safety, and partly from the pressure coming from the population to feel reassured. In other words, the liberal state implicitly accepts that some persons will abuse the broad freedoms—its distinguishing feature—in order to protect against an overreaching by the government. The only cure for nihilism is for liberal democratic societies—their electorates, their judiciary, and their political leadership—to insist that force is legitimate only to the degree that it serves defensible political goals. This implies a constant exercise of due diligence: strict observance of rules of engagement regarding the use of deadly force and the avoidance of collateral damage. Nevertheless, despite the benefits envisioned for exploring the use of armed drones through the varied lenses of legitimacy, it had not been originally supposed that presenting these views would lead to a policy for defending the legitimacy of the government under attack by a terrorist group(s). The fact that a policy proposal has materialized to do so is, in fact, an unforeseen and acutely welcome product of the project itself. To explain this development it is necessary to revisit the genesis of our endeavor. Guiora and Brand suggest the need for a court to be established by the legislature, administered by the judiciary, in order to oversee and constrain the lethal authority exercised by the executive. Through my counterterrorism studies I had come to know Amos Guiora as a both an experienced practitioner and an accomplished academic author. Since I knew that he had long expressed the need for counterterrorism policies to be legal, moral, and effective, he was contacted straightaway upon the launching of this undertaking. When Guiora told me that he was working on a policy proposal for creating a Drone Court, I was somewhat hesitant as I did not yet see where such a chapter would exactly fit in this volume. Quickly setting aside any doubts, I immediately assured him this book was the correct place for such an intriguing contribution. Shortly afterwards, Guiora brought the skilled and experienced scholar Jeffery Brand onboard as a coauthor. The two of them proceeded to make their case for a Drone Court through their persuasive writing, in-depth research, and a continued exchange of views through articles and reports dealing with armed drones specifically and counterterrorism generally. Through all of this work together over the life of the project it became clear that their policy proposal was indeed the proper conclusion to this volume. As has been seen in their chapter, Guiora and Brand suggest the need for a court to be established by the legislature, administered by the judiciary, in order to oversee the lethal authority exercised by the executive. In other words, their proposal rests on the constitutional cornerstone of the separation of powers principle—a reasoning of political philosophy found in the landmark 2008 US Supreme Court Boumediene decision. Not only is it important to understand the tension created between the divided powers of government when a democratic society comes under attack by way of terrorist methods, one must also recognize that this principle plays an important role in evaluations of legitimacy within the US constitutional structure. To add to this closing proposal, the transatlantic team of Tom Farer and Frédéric Bernard were brought together to address the general principles undergirding liberal governance: an idea that once again represents a foundational tenet of legitimacy in the United States. As discussed above, terrorist violence poses a real danger to liberal societies because it can tempt those who govern to turn their back on long-accepted codes of limited government in pursuit of perfect security. Hence Farer and Bernard’s exploration of a holistic approach to the substantive international law a Drone Court would need to navigate and apply in the complicated circumstances created is certainly a valuable contribution to the assessments of legitimacy. Since deadly force is the most grave and disturbing facet of the use of UCAVs and terrorism alike, a Drone Court would be dealing with an act that must be constrained in some way to be considered moral. While there is little doubt that the establishment of a court would at least offer the opportunity for legality to play the role of a check against executive power in its use of deadly force, questions might still remain as to whether morality and efficacy also are to be included in such a forum. In light of conventional views this would appear to be a valid concern on its face, yet the history of legal philosophy and current judicial practice illuminates why this disquiet is unwarranted. As addressed in this volume, the belief in a distinct cleavage between legality and morality overlooks what the fathers of legal positivism—John Austin and Jeremy Bentham—have themselves acknowledged. H.L.A. Hart notably wrote about these two pivotal legal minds who founded this theory that now dominates. Hart found that although they indeed separated with the utmost of clarity “the law as it is from law as it ought to be”, they still found “frequent coincidence of positive law and morality”, as Austin once put it. Hart identified the overlap between the two realms as laws prohibiting murder, violence, and theft, explaining “such rules are so fundamental that if a legal system did not have them there would be no point in having any other rules at all”. Since deadly force is the most grave and disturbing facet of the use of UCAVs and terrorism alike, a Drone Court would be dealing with an act that must be constrained in some way to be considered moral. As a result, creating a real check or limitation on the use of force with combat drones most certainly means taking a step in the direction of morality. 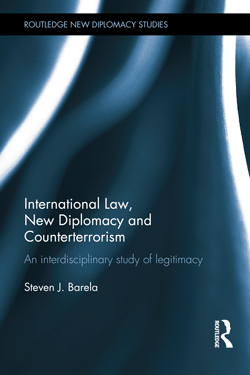 As for the concern over efficacy, it should not be overlooked that courts have at times found a way for this critical element to also become a part of legal calculation—in particular on questions of counterterrorism. As for the concern over efficacy, it should not be overlooked that courts have at times found a way for this critical element to also become a part of legal calculation—in particular on questions of counterterrorism. One of the clearest examples of the use of efficacy for the rendering of a provision of a law outside the bounds of legality comes from the German Federal Constitutional Court in 2006. In the wake of 9/11 the parliament was convinced that the shooting down of an aircraft presumed to be hijacked was a feasible means to address a specific security alarm. However, the Court ruled that the statute “must pursue a legitimate end”, and this law simply “could never achieve what it pretended to pursue” because it could never be known definitively on the ground that the aircraft was to be turned into a projectile weapon. The Court determined that the policy was not legal or legitimate because it was considered to be inefficacious. For an additional example, one can look to the 1999 ruling handed down by the Israeli Supreme Court on the General Security Service’s methods of interrogation. In essence, it was found that an interrogation is required to be “reasonable”—an important judicial tool for the former Court President Aharon Barak who authored this decision. While there are various passages that highlight the inclusion of efficacy into this legal context, there is one point where the Court explicitly expressed in its ruling against specific techniques because they could not be considered as a part of a “fair and effective interrogation”. The part that legality, morality and efficacy would come to play in a Drone Court would depend entirely on the legislation that would create it, and the judges’ interpretation of that law and their constitutional mandate. 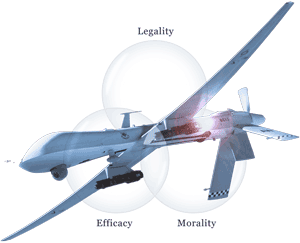 In sum, it is indeed possible that morality and efficacy would come to play a significant role in the proposed Drone Court. To what extent this occurs certainly remains an open question, just as the degree and manner in which the various bodies of international law are applied in such a court cannot be foretold (in this regard, there are valid and important questions raised by Farer and Bernard in their chapter). The part that all three would come to play in a Drone Court would depend entirely on the legislation that would create it, and the judges’ interpretation of that law and their constitutional mandate. However, creating a forum in which legality, morality, and efficacy can be openly discussed certainly represents a positive—if only preliminary—step toward defending legitimacy in the world’s current foremost user of UCAVs for cross-border counterterrorism. Genuine movement in this direction is needed, even if it is imperfect. In April 2015 there were a pair of developments that disturbingly demonstrate the pressing need for a policy solution. There was the shocking disclosure that the Obama administration had never abandoned the tenuous (at best) practice of using armed drones to kill persons whose behavior indicates they are likely members of a terrorist group or militants, even if their identity is unknown. 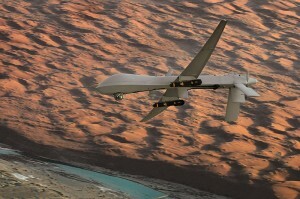 In addition, at the beginning of that month a man was taken into custody and arraigned before a federal court in Brooklyn on terrorism charges; yet two years earlier key parts of the US government argued that he should be placed on the so-called drone kill list because his capture was deemed infeasible. While each of the revelations requires a renewed extended analysis, the opportunity will be taken here to simply explain how they serve to demonstrate the potency and practicality of the policy proposal put forward. Again, the development of this book project is telling on the first question. When the chapter outline was being designed in the fall of 2013 the practice of killing individuals based on their pattern of life (“signature” strikes)—rather than known identity and guilt (“personality” strikes)—was taken by many to have been markedly reduced, if not entirely discontinued. The well-publicized Presidential Policy Guidance (PPG) signed in May of that year was thought to significantly circumscribe the practice, even if the language in the document was opaque. At that point in time an entire chapter on signature strikes was under consideration due to the immense elasticity inherent to such a practice as it raises quite troublesome questions of law, morals and effectiveness. To wit, striking individuals whose identity is unknown cannot possibly be the targeted killing so often described as the Obama administration’s policy; and it clearly cannot fit within the pronounced standard of “[n]ear certainty that the terrorist target is present”. Nevertheless, due to the presumed abandonment of this policy, it was decided that dedicating a whole chapter to this topic could make this book out of date for discussions of current policy. When the chapter outline for this book was being designed in the fall of 2013 the practice of killing individuals based on their pattern of life (“signature” strikes)—rather than known identity and guilt (“personality” strikes)—was taken by many to have been markedly reduced, if not entirely discontinued. This has now been revealed to be untrue. It cannot be overlooked that there are absolutely no available figures on the number of “signature” strikes that have taken place.All the same, the critical question of the legitimacy of signature strikes was surely not left out of this volume as it is earnestly addressed in several different chapters: Chapter 2 by P. Grzebyk; Chapter 10 by M. Madej; and Chapter 12 by R. Kolb. Additionally, the policy proposal of a Drone Court offers a constructive avenue for tackling this imprudent practice as demonstrated by the New York Times debate led by Guiora and Brand in the wake of the news of the accidental killing of two hostages with an armed drone in Pakistan. As it turns out, the analysis and proposed solution found here are indeed timely and required because the supposed halt to signature strikes never occurred. President Obama himself made the deadly error known in an expression of condolences to the families of the hostages, and with it came the revelation that the CIA did not know who it was striking. Of keen interest, as this information was released the name and a claim of high rank—Ahmed Farouq, “deputy emir of al Qaeda in the Indian Subcontinent”—was pinned on one militant killed. Nonetheless, it is suggested that independent analysts and the public should be wary of such specifics. Details of identity and guilt bolster the rationale for targeting specific individuals, but this was simply not the case. It cannot be overlooked that there are absolutely no available figures on the number of “signature” strikes that have taken place. It cannot be overlooked that there are absolutely no available figures on the number of signature strikes that have taken place. However, alongside this fundamental dearth of data there are a couple of general indicators. We have the reporting in the initial disclosure of this practice in 2011: “The bulk of CIA’s drone strikes are signature strikes.” In addition, multiple non-government reports citing unnamed officials have led one scholar to conclude: “The vast majority of drone strikes conducted by the CIA have been signature strikes.” Apart from this, next to nothing is known about the frequency or quantity of signature strikes. Yet despite the announced policy shift, we have learned that the PPG of 2013 never actually applied to Pakistan, and that Yemen has fallen into a similar category. Considering that the overwhelming majority of armed drone operations outside the territory of an armed conflict have been carried out in these two countries, it is quite problematic that the controls on deadly force continue to be misrepresented and are subject to change where it matters most. Additionally, the “capture is not feasible” standard, often stated and explicitly reiterated in the same 2013 PPG document, has also been starkly brought into question with the indictment of US citizen Mohanad Mahmoud al Farekh on April 2, 2015. According to unnamed sources within the government, both the Pentagon and the CIA argued in 2013 that al Farekh met all the criteria for a drone killing, clearly indicating that his capture was not believed to be possible. The Justice Department was not convinced and fought to keep him off the list. This arguably and appropriately saved his life since his capture was indeed proven to be achievable two years later, along with the notable fact that he was indicted for a crime that would bring a maximum 15 year prison sentence. There are a host of important questions raised by this case. For example, what were the parameters used by the Pentagon and CIA to arrive at the conclusion that al Farekh could not be captured and why did it differ from the Justice Department? Did the existence of a new technology to kill from a distance influence their assessment? On what grounds did the Justice Department argue that a US citizenship required further assessment—i.e. what and why is there a difference in standards between citizens and non-citizens? As it was reported that members of Congress took part, what is the legal authority for US lawmakers to be involved in discussions over the execution/killing of individuals? Not coincidentally, the proposal found in Chapter 13 of this volume aims to restrain this precise type of instability when it comes to legal and moral standards, not to mention producing data that can be measured for efficacy. As important as these questions are, the essential point for us here is that the pivotal feasibility of capture standard is by no means settled or jointly understood. In essence, both of these cases underscore the fact that the standards for drone killing are shuffling with the circumstances and subject to different interpretations. This is a real problem for the legitimate exercise of cross-border lethal force that demands a solution. Not coincidentally, the proposal found in Chapter 13 of this volume aims to restrain this precise type of instability when it comes to legal and moral standards, not to mention producing data that can be measured for efficacy. Of fundamental importance here, the months and years of debate and surveillance clarify the fact that there is undoubtedly ample time for a court to intervene and interpret the applicable law—in this case, the opportunity to set fixed and sound precedents on signature strikes and the feasibility of capture. 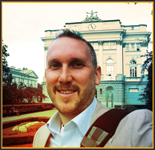 However, bolstering legitimacy at home certainly does not automatically translate into the same outcome abroad. The conspicuous reality is that the governments ostensibly in charge where these remotely controlled aircraft are operating have had enormous trouble explaining their position on the drone strikes publicly, and even maintaining their status as the legitimate governing authority. Specifically, the governments in Pakistan and Yemen have had obvious, and sometimes dreadful, difficulties in this regard. During the ramping up of the Obama administration’s drone program, the government of Pakistan made public denials of their consent for the US to exercise this lethal force in its territory. However, there have also been credible reports that Pakistan has given secret consent for these UCAV strikes within its territory, and at times in exchange for having enemies of the Pakistani government added to the list of those targeted by US drones. To be sure, if proper permission exists (even in secret), the international legality of the use of force flips from heads to tails; what was thought to be illegal, is legal. Hence, this is not a point of lawfulness. Nonetheless, there are other extremely important consequences that can be found. While secret consent to allow lethal force can give assurances that the ruling government will not retaliate for such force, it does not secure any guarantees from the population that they will continue to deem the commanding authority as legitimate. As presented in the Introduction to this volume, German sociologist and political economist Max Weber put forward a definition of the state that has become pivotal to Western political thought. Weber presented the defining concept of the state as, “a human community that (successfully) claims the monopoly of the legitimate use of physical force within a given territory”. While secret consent to allow lethal force can give assurances that the ruling government will not retaliate for such force, it does not secure any guarantees from the population that they will continue to deem the ruling government as legitimate. Relinquishing the monopoly on force would certainly imply, according to Weber’s definition, that the regime in office is not fulfilling its primary duty; viz it is outsourcing justice. One indication of this problem can be found in the protests that shut down a NATO supply route through Pakistan into landlocked Afghanistan from late 2013 into 2014. 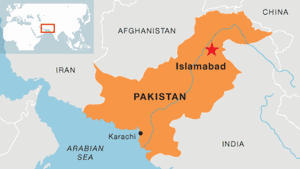 Thousands of people were mobilized by Pakistani politician and former cricket star Imran Khan who tapped into the deep resentment of some of the local population who see the armed drone strikes as a counterproductive strategy and a violation of sovereignty. The blockade was brought to an end after a court ruled it to be illegal, even if Khan claimed victory for having brought about change in the drone policy. The essential point here is not about the disruption of an important supply route—even if this is of consequence. Instead, it is of concern to see a politician gain significant ground by vehemently opposing the exercise of foreign lethal force on Pakistani territory because it goes directly to the question of consent. If we are to take Weber’s definition of the state seriously, extending consent to a foreign power to exercise lethal force at its own discretion inside of one’s territory touches the essence of the state itself and brings the legitimacy of the commanding authority that does so into question. Moreover, as these words are written in March of 2015, the internationally recognized president of Yemen, Abd-Rabbo Mansour Hadi, suffered an evaporation of his status as the legitimate authority in that territory when key military bases and commanders were captured by Houthis rebels and he was forced to flee to Saudi Arabia. Particular events that signaled the significance of this breakdown was the arrest of his defense minister along with the capture of an airfield outside of the southern city of Aden on March 25, 2015—one that was critical to US special forces’ counterterrorism campaign as well as drone operations in that country. 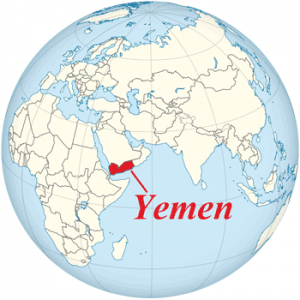 While the degree of legitimacy President Hadi possessed before these developments was already up for considerable debate, the territory of Yemen has now devolved into a space where a number of external actors try to exert their own influence (most notably Iran and Saudi Arabia). Hadi was a vocal supporter of the US drone strikes and had emphasized his own personal involvement. Before him, Ali Abdullah Saleh, the ruling president for 33 years, attempted to deny US responsibility for the UCAV airstrikes and even claimed that some detonations were in fact conducted by the Yemeni military or other local actors. Yet Saleh was forced to step down by popular pressure in 2011 and we can consequently say that this represents the downfall of two ruling authorities—a collapse of legitimacy—in the territory of Yemen in just four years during the growing number of the drone operations. Granted, this does pose a chicken or egg problem; these strikes often take place in countries where the government is already weak and it does not maintain full control over its territory. Nevertheless, exercising deadly force within such territory can certainly not help this problem. It is suggested that we keep an eye on the strength of those governing powers in the places where drone strikes are taking place as one way to gauge soundness of counterterrorism operations with armed drones. There are veritable challenges presented to the legitimacy of local governments when lethal force is exercised within their territory without any public process explaining the justification, or at times without even any recognition of who is doing the killing. Hence, this is a recommended place where our gaze can be affixed to assess a less often noted implication of cross-border drone violence—an undermining of legitimacy. Stable and legitimate governments might not always directly contribute to increasing security by monitoring threats from violent individuals and groups, but they surely are more reliable than the instability of multiple actors vying for control and legitimacy. There are veritable challenges presented to the legitimacy of local governments when lethal force is exercised within their territory without any public process explaining the justification, or at times without even any recognition of who is doing the killing. How do we judge the legitimacy of the governments in Pakistan, Yemen, and Somalia where we know that drone strikes have regularly occurred? Has the uncoerced pull toward compliance with the ruling government been strengthened or weakened by drone strikes? What does it mean to security interests to have a ruling government collapse and leave no monopoly of power within a territory? The existence of such difficult questions and many gray areas concerning the codified law and recognized norms makes this volume and its contributions especially timely. Our conversations, both international and domestic, must be informed and intelligent as drone technology rapidly proliferates and further strikes from untold countries risk being justified on the arguments thus far put forward. If we accept the claim that UCAVs “are here to stay”, then fleshing out their legal, moral, and effective use is an imperative for maintaining legitimacy in the societies that deploy them and within the territories where they strike. Has the government lost sight over direction of conduct for military operations? For an early illumination of the “is vs ought” problem see the Scottish philosopher David Hume, A Treatise of Human Nature, Book III, Part I, Section I (BiblioBazaar 2006) at 257. Aharon Barak, The Judge in a Democracy (Princeton Univ Press 2006) at 284-285. Frédéric Bernard, L’Etat de droit face au terrorisme (Schulthess 2010): “[Risk] is indeed inevitable and represents the price to be paid to secure these [fundamental] rights collectively” at 289 (my translation); see also former Justice Stephen Breyer, “Symposium on Terrorism, Globalization and the Rule of law: an Introduction” (2006) 27 Cardozo Law Rev 1981: “well functioning constitutional democracies are characterized by their willingness to take risks to secure liberty” at 1985. Bruce Ackerman, Before the Next Attack: Preserving Civil Liberties in an Age of Terrorism (Yale Univ Press 2006) at 2. See also my Chapter 11 exploring the “opinion” of security. Michael Ignatieff, The Lesser Evil (Princeton Univ Press 2004) at 143 (my emphasis). Boumediene v Bush, 553 US 723 (2008). 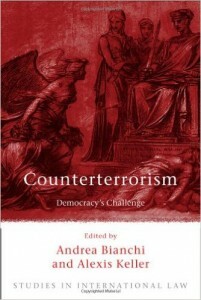 See generally Andrea Bianchi and Alexis Keller (eds), Counterterrorism: Democracy’s Challenge (Hart Publishing 2008). HLA Hart, “Positivism and the Separation of Law and Morals” (1958) 71 Harvard Law Review 593, at 594. John Austin, The Province of Jurisprudence Determined and The Uses of the Study of Jurisprudence (Weidenfeld and Nicolson 1954) at 162. Hart (n 10) at 621. For discussion of the decision in English see, O Lepsius, “Human Dignity and the Downing of Aircraft: The German Federal Constitutional Court Strikes Down a Prominent Anti-terrorism Provision in the New Air-Transport Security Act” (2006) 7 German Law Journal 761. In addition, the court also applied a Kantian moral logic to strike down this legislation because it would reduce the individual onboard to no more than means for furthering security interests of the state and others. “The state must respect human beings’ constitutional right to dignity. The Court concluded that § 14 of the Air-transport Security Act showed no respect for the well-being of those on board the target airplane. They are simply treated as part of the aircraft, which has to be destroyed since it has become a weapon. The Court explained that, under these circumstances, the state has given up the passengers’ lives for the purpose of the presumptive prevention of a severe danger. The Court found that such a legal treatment neglects the constitutional status of the individual as a subject with dignity and inalienable rights. When the law takes their death into account as unavoidable damage for the benefit of other objectives, the Court explained, it transforms persons into things and delegalizes them (verdinglicht und zugleich entrechtlicht). The state denies the protection of the law to those who, as passengers-turned-victims in the aircraft, ought to be protected. Doing this, the Court reasoned, the law denies to those on board the value the constitution attributes to every human being,” at 767. Public Committee Against Torture in Israel v The State of Israel, Israeli High Court of Justice, HCJ5100/94 (Sept 6, 1999). For a description of this tool in an extrajudicial writing see Barak (n3): “[t]he key test here is reasonableness. Put simply, the executive must act reasonably, for an unreasonable act is an unlawful act. In many cases the test of reasonableness allows for only one possibility, which the executive must choose. Sometime, however, the reasonableness test allows for several possibilities, thereby creating a ‘zone of reasonableness’. The executive has freedom of choice within this range. The principle of separation of powers requires the executive, rather than the judiciary, to choose one possibility within this zone. But the principle of separation of powers requires the court, rather than the executive, to determine the limits of the zone of reasonableness” at 248. Israeli High Court of Justice (n13): “Of course, it is possible to conduct an effective investigation without resorting to violence. Within the confines of the law, it is permitted to resort to various sophisticated techniques. Such techniques—accepted in the most progressive of societies—can be effective in achieving their goals. In the end result, the legality of an investigation is deduced from the propriety of its purpose and from its methods” at 23-4 (my emphasis). Ibid at 27 (my emphasis). See the end of Section III, Chapter 14. As the US has been aptly described as using its constitutional structure of tripartite government to avoid full application of international treaties this is of real concern (see eg Andrea Bianchi, “International Law and US Courts: The Myth of Lohengrin Revisited” (2004) 15, 4 Eur J of Int’l Law 751). To see this recently played out one can look to the historic US Supreme Court Hamdan decision which timidly applied the Geneva Conventions through the Uniform Code of Military Justice and deftly avoided the question treated by the lower courts of whether the treaty is “self-executing” or “judicially enforceable” (Hamdan v Rumsfeld, 548 US 557 (2006) at 627-628). First exposing “signature strikes” vs “personality strikes”, see A Entous, S Gorman and J Barnes, “U.S. Tightens Drone Rules” Wall Street Journal (Nov 4, 2011). See also the oft cited J Becker and S Shane, “Secret ‘Kill List’ Proves a Test of Obama’s Principles and Will” New York Times (May 29, 2012). President Barack Obama, “U.S. Policy Standards and Procedures for the Use of Force in Counterterrorism Operations Outside the United States and Areas of Active Hostilities” known as the “Presidential Policy Guidance” (PPG hereinafter), The White House (May 22, 2013) at 2. T Zakaria and M Hosenball, “U.S. 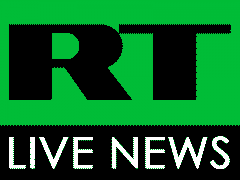 drone guidelines could reduce ‘signature strikes’” Reuters (May 23, 2013) available at <http://www.reuters.com/article/2013/05/24/us-usa-obama-speech-guidelines-idUSBRE94N03520130524>; G Dyer, “Obama rewrites rules for drone strikes in terror war” Financial Times (May 23, 2013) available at <http://www.ft.com/intl/cms/s/0/5d6c44c4-c3cb-11e2-8c30-00144feab7de.html#axzz3e5hBSly1>; Clearly demonstrating the extent to which the belief of cessation had taken hold, former counterterrorism czar Richard Clarke affirmed on ABC’s This Week that “President Obama said he was going to stop [signature strikes], and clearly he didn’t.” For a discussion of the factual basis for this statement see L Carroll, “Did Obama pledge to stop using ‘signature strikes’?” Pundit Fact, Tampa Bay Times (April 28, 2015) available at <http://www.politifact.com/punditfact/statements/2015/apr/28/richard-clarke/did-obama-pledge-stop-using-signature-strikes/> all accessed June 2015. PPG (n 22) at 2. While one might argue that a militant structure can be a “terrorist target”, this statement clearly refers to a specific person as the adjective “present” can only refer to a moving/moveable object. At 62-66, 262-264, and 313-315 in this volume. A Guiora, J Brand, M Hakimi, M O’Connell, S Vladeck, and N Rao, “Room for Debate: Should a Court Approve all Drone Strikes?” New York Times (April 24, 2015). A Entous, D Paletta and F Schwartz, “American, Italian Hostages Killed in CIA Drone Strike in January” Wall Streeet Journal (April 23, 2015); P Lewis, S Ackerman and J Boone, “Obama regrets drone strike that killed hostages but hails US for transparency” The Guardian (London, April 23, 2015). M Mazzetti and E Schmitt, “First Evidence of a Blunder: 2 Extra Bodies” New York Times (April 23, 2015); S Ackerman, S Siddiqui and P Lewis, “White House admits: we didn’t know who drone strike was aiming to kill” The Guardian (London, April 23, 2015). G Botelho and J Sciutto, “Ahmed Farouq: Leader of al Qaeda’s Indian branch killed by US” CNN.com (April 23, 2015) available at <http://edition.cnn.com/2015/04/23/world/ahmed-farouq-al-qaeda/> accessed June 2015; see also Lewis, Ackerman and Boone (n 27) and ibid, Ackerman, Siddiqui and Lewis. At the time of this disclosure another name and claim of high level import was also released of another US citizen killed in a different drone strike in January—Adam Gadahn, or Azzam the American who was “long seen as an important Qaeda propagandist who, as a member of the terror network’s media arm, As Sahab, played instrumental roles including translator, video producer and cultural interpreter”: E Schmitt, “Adam Gadahn Was Propagandist for Al Qaeda Who Sold Terror in English” New York Times (April 23, 2015); see also all the above references in this note that mention Adam Gadahn. However, neither of these US citizens were actually targeted for drone killing. The attack was said to target a compound based on “near-certain” intelligence that suggested it was being frequented by at least one Al-Qaeda leader: Lewis, Ackerman and Boone (n 27). While an Al-Qaeda compound might be a legal target, the evidence must support such a classification. The frequency of a visitor, no matter how certain, would not automatically render a structure a legal target—it would need to be “permanently dedicated to that purpose”: K J Heller, “‘One Hell of a Killing Machine’: Signature Strikes and International Law” (2013) 11 J Int’l Criminal Justice 89, at 96. See also (n 24). Also on this exact point, see the article detailing the fluky killing of a top leader in Yemen: G Miller, “CIA didn’t know strike would hit al-Qaeda leader” Washington Post (June 17, 2015). Heller (n 30) at 104. Entous, Gorman and Barnes (n 21). See Heller (n 30): at 90. A Entous “Obama Kept Looser Rules for Drones in Pakistan: Waived requirement to show proposed targets pose imminent threat to the US” Wall Street Journal (April 26, 2015) at A1. For a discussion of the shelving of higher standards in Yemen see Miller (n 31). See Tables 10.1 and 10.2. 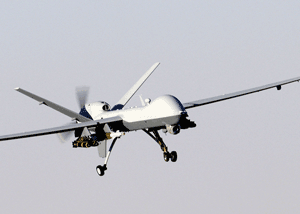 M Mazzetti and E Schmitt, “Terrorism Case Renews Debate Over Drone Hits” New York Times (April 12, 2015) at A1. See David Cole “Targeted Killing: The New Questions” The New York Review of Books Blog (April 14, 2015) available at <http://www.nybooks.com/blogs/nyrblog/2015/apr/14/targeted-killing-new-questions/> accessed June 2015. See eg Ben Emmerson “Statement of the Special Rapporteur Following Meetings in Pakistan,” United Nations Human Rights, Office for the High Commissioner of Human Rights, Islamabad (March 14, 2013) available at <http://www.ohchr.org/en/NewsEvents/Pages/DisplayNews.aspx?NewsID=13148&LangID=E> accessed Dec 2014: “The position of the Government of Pakistan is quite clear. It does not consent to the use of drones by the United States on its territory and it considers this to be a violation of Pakistan’s sovereignty and territorial integrity”. See eg Greg Miller and Bob Woodward, “Secret Memos Reveal Explicit Nature of US, Pakistan Agreement on Drones” Washington Post (Oct 24, 2013) available at <http://www.washingtonpost.com/world/national-security/top-pakistani-leaders-secretly-backed-cia-dronecampaign-secret-documents-show/2013/10/23/15e6b0d8-3beb-11e3-b6a9-da62c264f40e_story.html> accessed March 2015. Mark Mazzetti, The Way of the Knife: The CIA, a Secret Army, and a War at the Ends of the Earth (Penguin Press 2013) at 103-113. In this volume see Chapter 1 by Tams & Devaney, and Chapter 12 by Kolb. Discussions over this question of consent with these specialists of international law revealed genuine concern on this issue. As consent can be offered secretly or tacitly, and establishing who is the proper authority for providing it, is not only extremely difficult but also of direct consequence, these authors suggest that this question requires substantial research in the future. Max Weber, “Politics as a Vocation” in HH Gerth and C Wright Mills (eds. and trans.) From Max Weber: Essays on Sociology (OUP 1946) at 78 (original emphasis). Tim Craig, “Imran Khan, a Pakistani provincial leader, complicates NATO plans for Afghanistan” Washington Post (Jan 4, 2014) available at <http://www.washingtonpost.com/world/asia_pacific/imran-khan-a-pakistani-provincial-leader-complicates-nato-plans-for-afghanistan/2014/01/04/fef921a4-68da-11e3-8b5b-a77187b716a3_story.html> accessed March 2015; Al Jazeera America, Wire Services, “Drone protesters in Pakistan block NATO supply route” Al Jazeera (Nov 23, 2013) available at <http://america.aljazeera.com/articles/2013/11/23/thousands-of-droneprotestersinpakistanblocknatosupplyroute.html> accessed March 2015. Salaman Masood, “Political Party Ends Blockade of NATO Supply Route in Pakistan” New York Times (Feb 27, 2014) available at <http://www.nytimes.com/2014/02/28/world/asia/political-party-ends-blockade-of-nato-supply-route-in-pakistan.html?_r=0> accessed March 2015. This is not the first time that the supply route had been closed; in 2011-12 the route was closed for seven months in reaction to a US air raid that mistakenly killed 24 Pakistani soldiers. Hakim Almasmari, “Yemen’s President Emerges in Saudi Arabia After Fleeing Country” The Wall Street Journal (March 26, 2015) available at <http://www.wsj.com/articles/five-gulf-states-and-egypt-team-up-in-yemen-action-1427361004?tesla=y> accessed March 2015. Frank Gardner, BBC Security correspondent, “Yemen Crisis: President Hadi Flees as Houthi Rebels Advance” BBC News.com (March 25, 2015) available at <http://www.bbc.com/news/world-middle-east-32048604> accessed March 2015. See Eric Schmitt, “Out of Yemen, US Is Hobbled in Terror Fight” New York Times (March 22, 2015) available at http://www.nytimes.com/2015/03/23/us/politics/out-of-yemen-us-is-hobbled-in-terror-fight.html?_r=0> accessed March 2015; Jackie Northam, “US Confirms It Is Supporting Saudi Military Operations In Yemen” NPR news – The Two-Way, Breaking News (March 25, 2015) available at <http://www.npr.org/blogs/thetwo-way/2015/03/25/395294977/yemens-president-flees-palace-as-rebels-continue-advance> accessed March 2015. See Aiden Warren and Ingvild Bode, Governing the Use-of-Force in International Relations: The Post 9/11 US Challenge on International Law (Palgrave Macmillan 2014) at 123. For an investigation of this problem see eg Ashley Deeks, “‘Unwilling or Unable’: Toward a Normative Framework for Extraterritorial Self-Defense” (2012) 52(3) Virginia J of Int’l Law 483. Christof Heyns, Special Rapporteur on Extrajudicial, Summary or Arbitrary Executions, ReportA/68/382 (Sept 13, 2013) at 4.